Poland's LNG import terminal in Swinoujscie will receive a EUR128mln grant from from the European Regional Development Fund and the Cohesion Fund to expand its regasification capacity. The European Commission said in a notification that it has approved plans to support the increase of the regasification capacity, and the development of additional functionalities of the LNG terminal in Poland. The Commission approved the aid for the construction of this LNG terminal in 2011. The increase in capacity was included in the list of Projects of Common Interest of the European Union as part of the Baltic Energy Market Interconnection Plan (BEMIP) corridor. 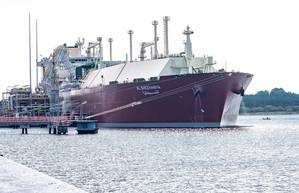 The Polish LNG will receive the fund under the 2014-20 Infrastructure and Environment Operational Programme, which has among its priorities the improvement of energy security. "The project will contribute to ensuring security of gas supplies in Poland and in the Baltic countries by making supplies more diverse and promoting new gas transport routes in the region," pointed out the EC notification. Polish LNG terminal operator, Polskie LNG has already launched a tender procedure to select a contractor for three key projects within the first Polish LNG import facility.